Francis J Hayes runs probably one of the most popular excel news letters. His email newsletter, called as “The Excel Addict” has an interesting nugget, tip or trick every week. I have been reading his emails for the last few months and I really enjoy them. 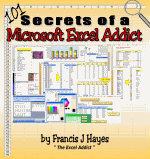 So naturally I got curious when I heard about Francis’ e-book titled “101 Secrets of a Microsoft Excel Addict“. Yesterday I purchased a copy of the book and there are so many hidden gems in the book that I had to tell you about it. 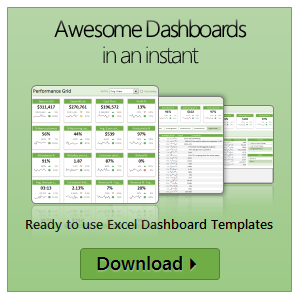 I wrote an excel formulas e-book that makes learning 75 most frequently used excel formulas as simple as eating pie. If you are wondering the book is worth your investment, read these wonderful reviews the book has received from fellow excel bloggers in the community. Jimmy on Code for Outlook and Excel and Tony on Support Analytics. 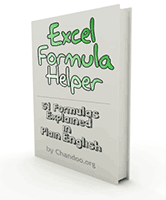 Remember the PHD Excel Formula Helper Tool? Good, now it is available as an e-book, so that you can take a print out of all the formulas or save it on your disk and learn formulas at leisure. For 5 $ you can buy this e-book and read it at your leisure.